My Tatay, Justin’s lolo, turned 68 years old last July 23. 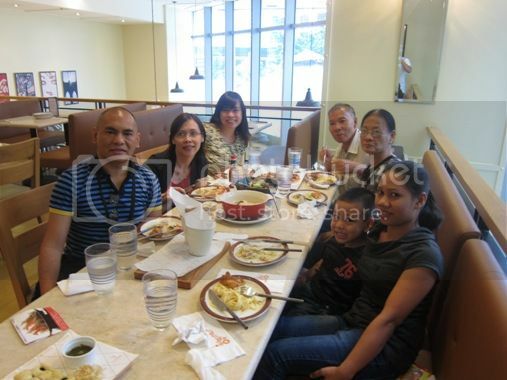 They (the rest of my family) already had a celebration in Tagaytay on the day itself, but because of my and hubby’s work and our son’s school, we were not able to join them. We saw Nanay and Tatay on July 24, church day, and the day before, I asked my husband if he could throw a birthday blowout for Tatay, and he said yes! We were supposed to have lunch at Banana Leaf at The Podium. However, when we got there, we learned that Banana Leaf could not accommodate us because the entire place was reserved for someone else’s party. 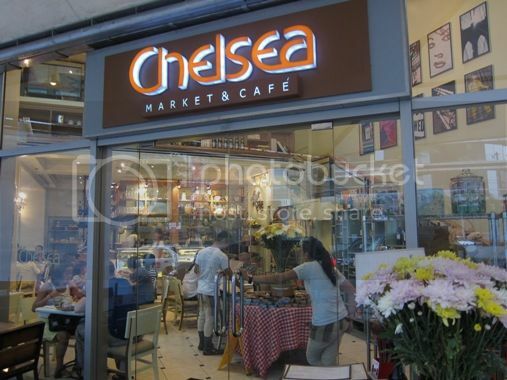 We didn’t have a Plan B, but after a while, hubby decided to go to Chelsea Market and Café. So it was there that we had Part 2 of Tatay’s birthday celebration. 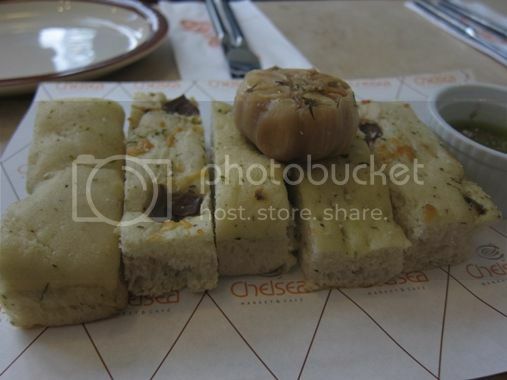 First, we were given focaccia bread with garlic and olive oil, compliments of the house. We finished two platefuls of this yummy Italian bread. Then, our orders started arriving. 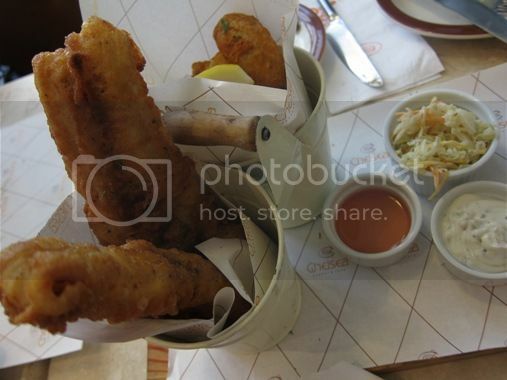 Our empty plates were proof of how much we enjoyed our hearty lunch. In particular, we liked the Grilled-Roasted Herb Chicken and Crispy Bacon, the Classic Beer-buttered Fish and Chips, the Five Cheese Pizza and the Classic Creamy Fettucine Carbonara. However, it will take some time before we visit this place again because the prices of food here are quite expensive. 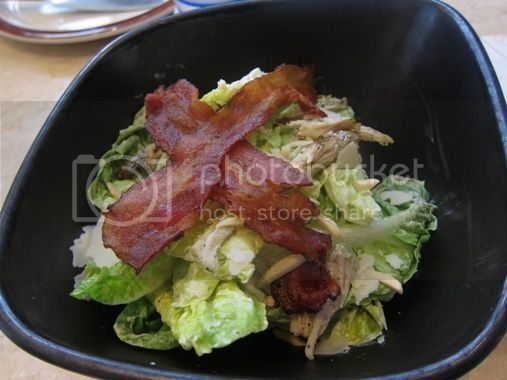 This entry was posted in American Cuisine, Birthday Blowout, Birthday Celebration, Chelsea Market and Cafe, Restaurant Review, Tatay, The Podium. Bookmark the permalink. i remember the vegetarian fares i shared with my jogging buddy at Chelsea. we were feeling conscientious and did not order anything with meat. but as we were paying and realized how pricey their prices are, we regretted not eating the food we really liked, like lots of meat. *LOL* but their food is really delicious. bit pricey but the food looks very yummy, but i think it doesn’t matter at all as long as the family is complete for your dad’s birthday. thanks for the visit tech! hard for me to decide which looks the yummiest. 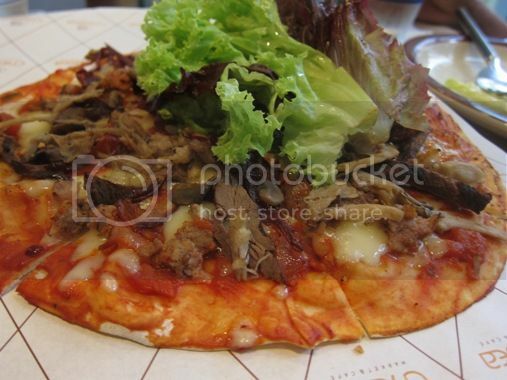 looking at all the foodie photos…i’m sure ur dad enjoyed the sumptuous treat. 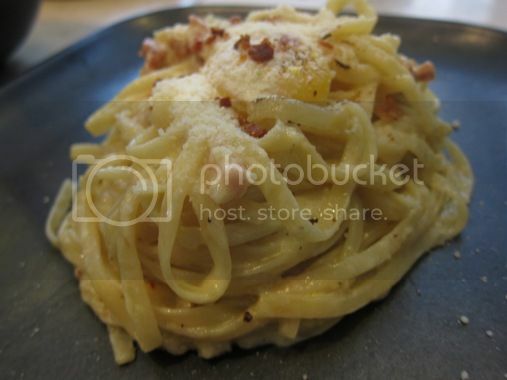 The creamy carbonara look oh so yummy!!!! Wow.. pagka-sarap2x namn Te Tetcha.. daming foods! Yummm! 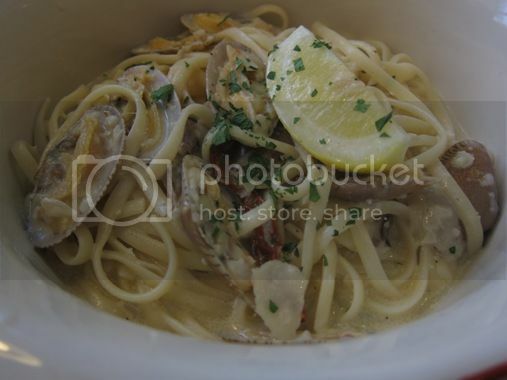 Can I have the carbonara please..
Haven’t tried there yet but since you mentioned Banana Leaf, i love their foods. 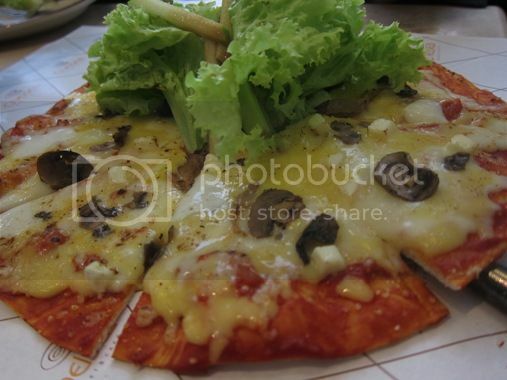 Masarap and reasonable price for me. so sweet of you and your hubby to tender another birthday treat for your Tatay. Ang palad naman niya.. BTW the foods seems yummy naman. Happy Birthday to your Tatay! Always wonderful to celebrate our parents’ birthdays. I don’t remember if I have eaten at Chelsea’s before. I rarely venture to the Podium area unless there’s a business meeting. I loved everything you ordered and find that the vongole the most appetizing! Would love to try that!